What does a 60,000 seat Stadium, 400,000m2 of earthworks and 2018 Asia-Pacific Spatial Excellence Awards (APSEA) have in common? RM Surveys. 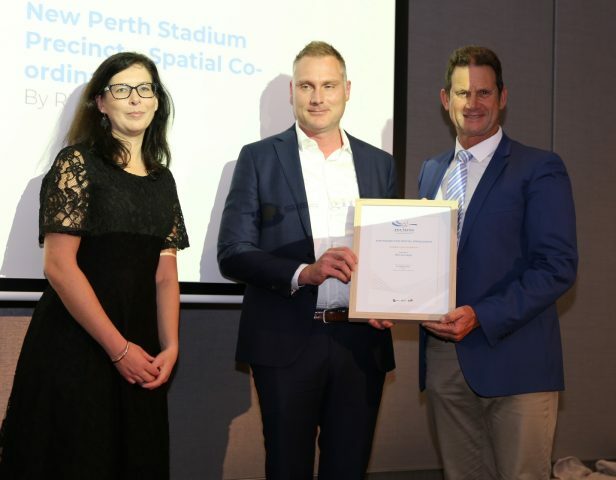 RM Surveys took home a win at APSEA regional awards Western Australia Friday 19 October for the development of an inground services co-ordination consultancy service for the precinct area of the Optus Stadium. 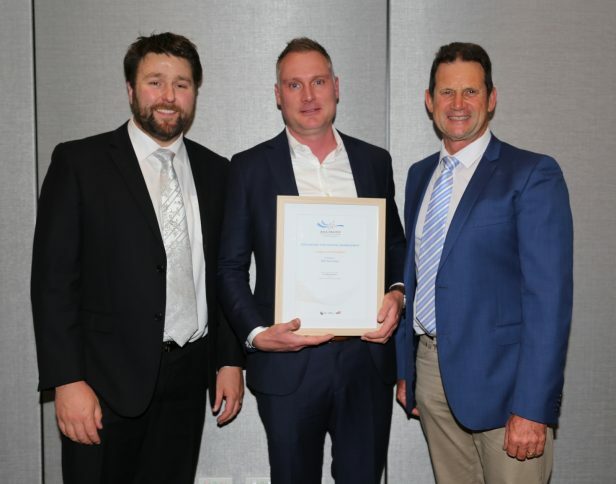 Winning ‘Judges Commendations’ in Spatial Enablement, the category recognises products or projects in which the application of spatial information, methodology and/or tools has greatly improved the outcomes of a project, process or product. As project surveyors for the construction of the New Perth Stadium (Optus Stadium) and surrounding Precinct areas, Multiplex was faced with the challenge of two construction methodologies within the one project; the “BIM” method for the main New Perth Stadium works, and the “traditional” approach for the surrounding Precinct areas which meant data was proliferated in an inconsistent format and in various locations. Embracing the challenge RM Surveys developed new spatial methodology and delivered a single point of truth master plan drawing and co-ordinated 35+ subcontractors constructing all inground services ensuring minimal disruption to the construction programme, damage to installed services, and real-time information for key decision making. 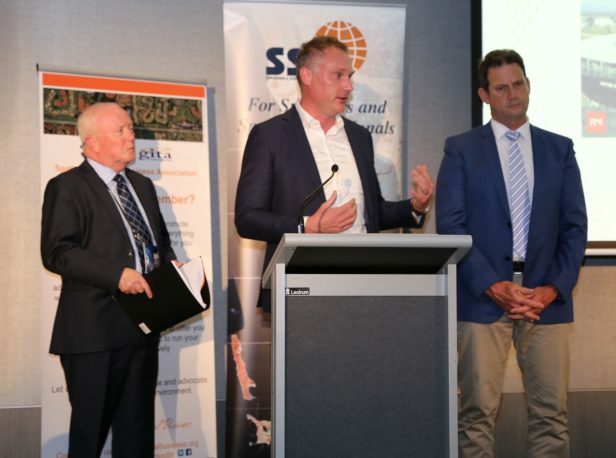 The Asia Pacific Spatial Excellence Awards are conducted regionally in 9 locations across the Asia Pacific region, culminating in a national gala dinner to be held in Melbourne in April 2019. Call us today or simply fill out the form and we will contact you shortly.